Due to significant economic growth in the last few decades, increasing traffic loads impose tremendous demand on bridge structures. This, coupled with ongoing deterioration of bridges, introduces a unique challenge to bridge engineers in maintaining service of these infrastructure assets without disruption to vital economic and social activities. This requires innovative solutions and optimized methodologies to achieve safe and efficient operation of bridge structures. Bridge engineering practitioners, researchers, owners, and contractors from all over the world presented on modern techniques in design, inspection, monitoring and rehabilitation of bridge structures, at the Sixth New York City Bridge Conference held New York City on July 25-26, 2011. This book contains a select number of papers presented at the conference. 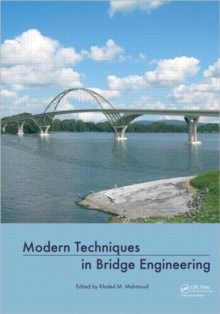 This group of papers provides a state-of-the-art in bridge engineering and is of interest to any reader in the field.